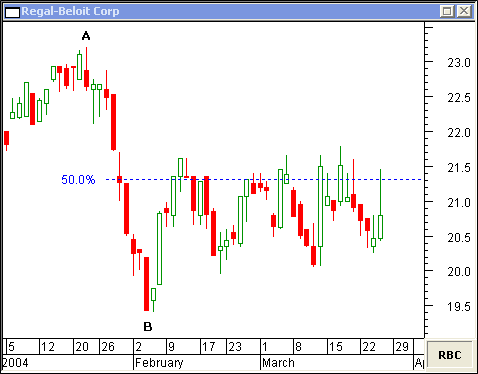 ibonacci Retracements can pinpoint price reversals well in advance. You can learn how to forecast these turning points by studying the following charts. 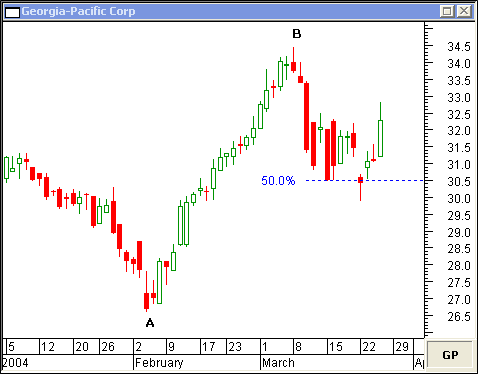 This daily chart of Georgia-Pacific Corp shows a 50 percent retracement of trend AB. The 50 percent retracement is common and is a good indicator of price reversal. 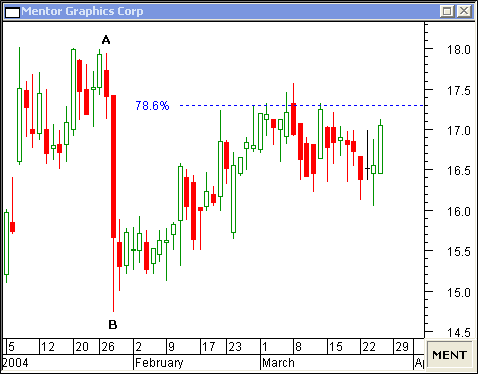 Strong resistance was met at the 78.6 percent retracement level of trend AB on this daily chart of Mentor Graphics Corp.
Regal-Beloit Corp ran into stiff resistance at its 50 percent retracement of trend AB on this daily chart. When stock prices are consolidating, they may touch multiple retracement levels as the trend reverses back and forth. 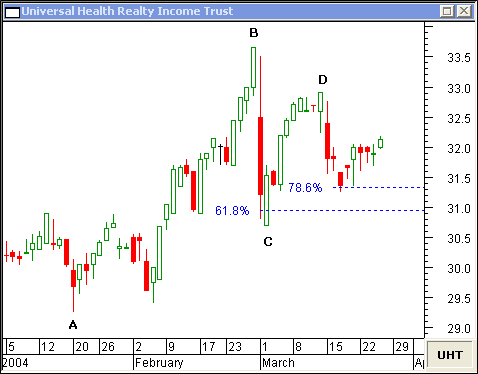 On this daily chart of Universal Health Realty Income Trust, there is a 61.8 percent retracement of trend AB and a 78.6 percent retracement of trend CD. Sometimes, retracements are symmetrical. 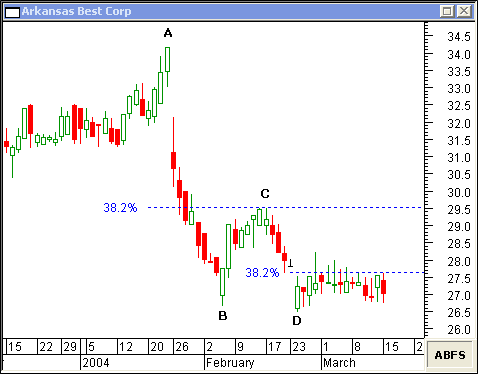 This daily chart of Arkansas Best Corp shows a 38.2 percent retracement on counter-trends AB and CD. 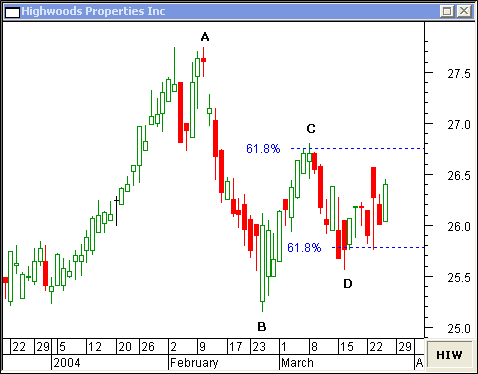 Highwoods Properties Inc shows inverse symmetrical retracements of 61.8 percent in trends AB and BC on this daily chart.